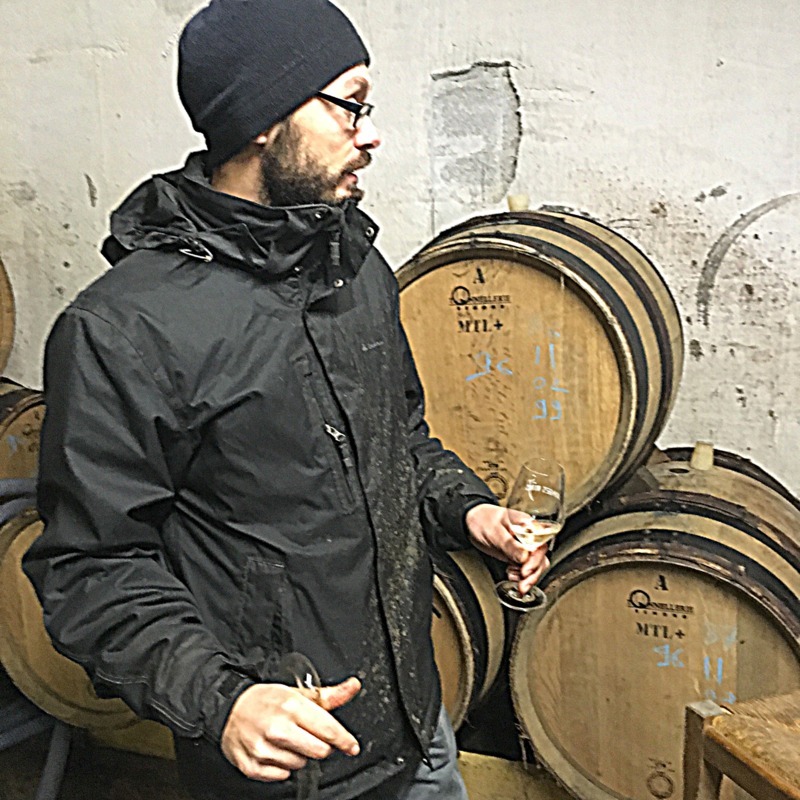 Jacques is a young, passionate winemaker from the area around the town of Ancenis in the western Loire Valley, not too far from the city of Nantes. In fact, when we visited him we found that he lived in the town of Oudon which is quite close to Ancenis and also quite close to the iconic Loire River. His winery is in the same village, just a few metres from his house. He used to be a sommelier, working in both France and Australia. In Australia he met both Anton van Klopper and Tom Shobbrook who were both widely recognised for their work in natural winemaking. As a result of this he developed a desire to become involved in winemaking himself. 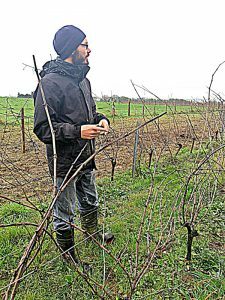 He and his partner Julie own a number of vineyards in the area comprising a total of 6 hectares with one overlooking the Loire River. The rock types are primarily schist and gneiss. He has Melon de Bourgogne, Gamay, Gamay Freaux, Cabernet Franc, Sauvignon Blanc, Pinot Gris (locally called Malvoisie) and Abouriou. He makes delicious wines that are characterised by tension and minerality and we think that he is a rising star of the area. Jacques Fevrier makes lovely, precise wines from the Sauvignon Blanc grape variety even though he is hundreds of kilometres away from Sancerre, the spiritual home of this grape. The S Des Humeaux is a wonderful expression of the Sauvignon Blanc grape variety. The name comes from the grape variety and the vineyard from which it is picked. 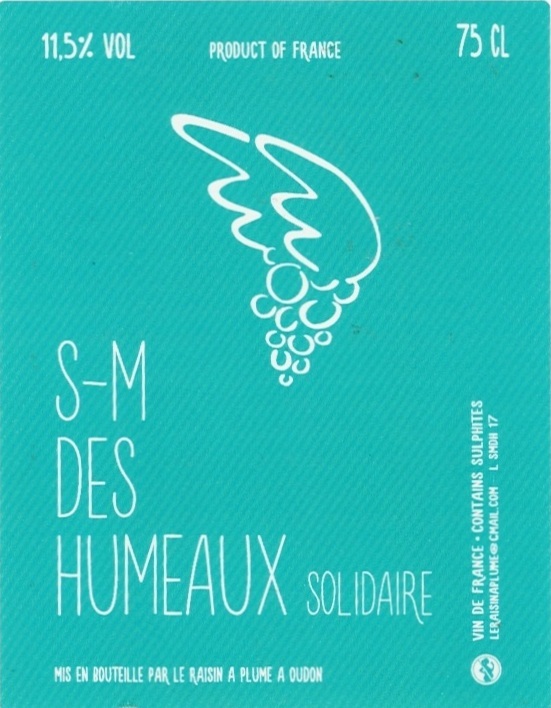 S stands for Sauvignon Blanc and Humeaux is the vineyard (which overlooks the Loire River). It is light, expressive, lingering and very delicious! It was matured in old wooden barrels – 7 were small 225 litre barrels and one was a 600 litre barrel. All were older barrels..
Jacques does not add any sulphur to this wine! 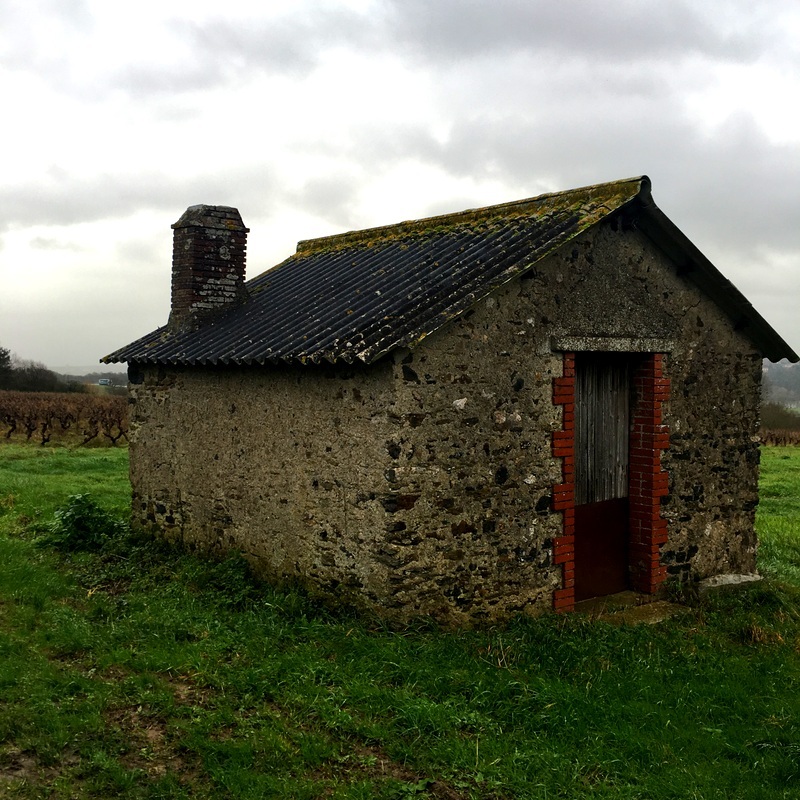 In 2017, Jacques was hit by the dangerous frosts that took a toll on vineyards throughout the Western Loire region, but particularly around the village of Oudon where Jacques lives. He therefore had to combine his crop of Sauvignon Blanc and Pinot Gris (known as Malvoisie in this region). 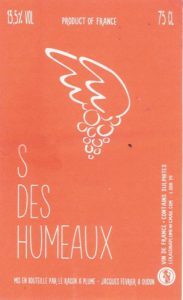 So, instead of S des Humeaux this year it is S-M des Humeaux as both lots of grapes were picked in the Humeaux vineyard. Nevertheless, despite the terrible year this wine turned out to be quite exceptional. It has beautiful mouthfeel and a long, lingering finish. The term Solidaire added to the end is that some Sauvignon Blanc grapes were supplied by his friend Rémy Sédes who also farms organically. Jacques added 2 grams of sulphur to this wine. He therefore had to combine his crop of Melon de Bourgogne from his Moulin vineyard with some grapes from Johan Chasse from nearby Saint-Herblon. Nevertheless, despite the terrible year this wine turned out to be quite exceptional. It has beautiful mouthfeel and a long, lingering finish. This wine therefore is made entirely with Sauvignon Blanc grown by Paul and Corinne Gillet from Les Maisons Brûlées in Touraine. Most of the wine was aged in fibreglass but this one was aged in 400 litre barrels. It’s called Elsass Connection because the Gillets came from Alsace. Jacques added 2 grams of sulphur to this wine. This wine is named the same as the Sauvignon Blanc pet nat above except that it is a beautiful deep red pet nat made from the Gamay Freaux grape variety. We have to take a slight diversion here to explain about this grape variety. It is one of the rare class of grape that is known as a teinturier grape. These grapes are red grapes that have red juice. Almost 98% of red grapes have clear, white juice, very few have red juice. But this one does! So, the flavour of the red grape and the depth of colour gained from the red juice shines through in this delightful, rare pet nat. The village of Oudon where Jacques lives is within an obscure appellation known as Coteau d’Ancenis (named after a nearby village). Within this appellation area it is permitted to make white wines from Sauvignon Blanc and Pinot Gris. The twist is that the locals (and the appellation authorities) don’t call it Pinot Gris, rather they adopt the local name of Malvoisie. Therefore the M stands for Malvoisie picked from the Humeaux vineyard which overlooks the Loire River and benefits from the wines that always blow, thus reducing disease pressure. The wine was matured in fibreglass tanks after a direct pressing of the grapes. This is a lovely wine of considerable complexity and depth and quite amazing energy and minerality. This wine has no sulphur added. We only have one or two cases of this wine due to the fact that the grape from which it is made is somewhat rare. 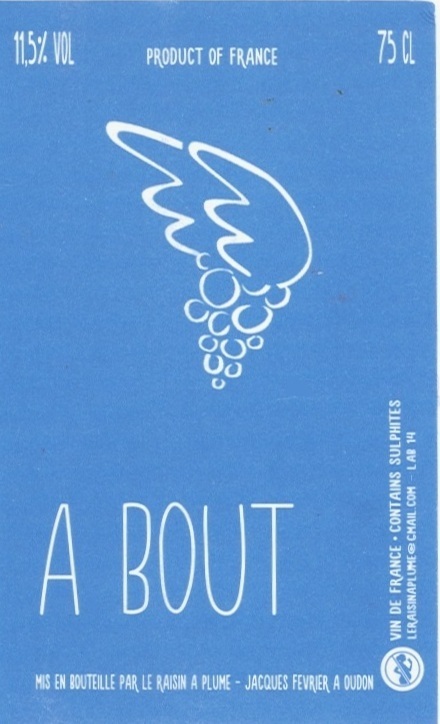 The grape is called Abouriou and it is known for making red wines in the Muscadet area. The vines that Jacques owns are 25 years old and thrive in very old schist soils. Like all grapes, you need to find a winemaker who understands the grape before they can make a good wine from it. Jacques understands Abouriou and the wine he makes is quite delicious. It underwent whole bunch maceration for 15 days after which the juice was transferred to old wooden barrels where it matured for 8 months. It was bottled without filtering and without the addition of any sulphites. The wine exhibits fine tannins and a fullness in the mouth which belies its 11.5% alcohol level. This wine had two weeks of skin maceration before being pressed and matured for approximately one year in fibreglass tanks. The wine gains its minerality from the mix of old gneiss and schist soils that are mixed with basalt and quartz as well. The wine has serious structure and length with a lovely, savoury finish and will match a wide variety of dishes without overpowering them. It was bottled without the addition of any sulphites and without being filtered. And just like each other year that this wine has been made it is made from 100% Gamay grapes. This is quite a complicated wine. It started life as a pure Cabernet Franc (Breton is the local name for this grape variety). However Jacques was not happy with the structure of the wine so he added a little Abouriou and a little Gamay to the barrel to round it out. The result is a delicious wine where the Cabernet Franc shines through but where it gains some mystery from the other two grape varieties. 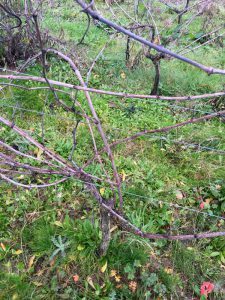 The vines grow in soils that are a mix of schist and gneiss. The wine spent 4 weeks on skins before maturing in old wooden barrels for 8 months before being transferred to tanks for 10 months. This is one of three wines that we have from Jacques this year made from the Gamay grape variety. 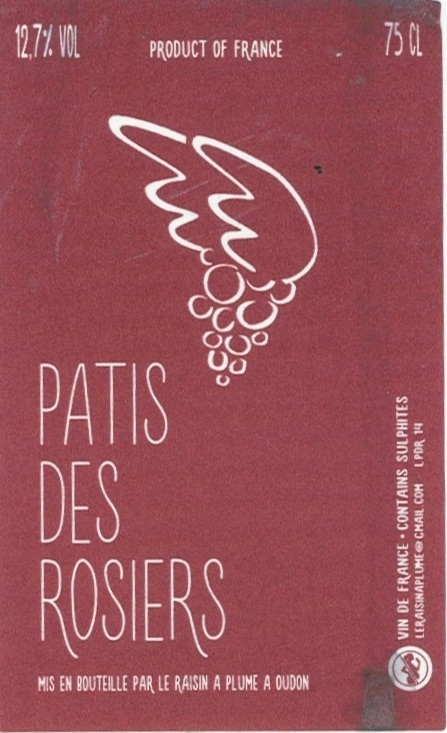 This is a lighter wine than Le Pâtis des Rosiers as it was only given two days of skin contact and was bottled after a few months in the tank. It is therefore a lighter style of wine even though the colour is quite ample. Jacques calls it a “red wine in a frame of white”. We look on this as a winter rosé and would serve it slightly chilled. It has a beautiful, lingering flavour and the characteristic minerality and tension found in Jacques wines still exists in this wine despite the short maceration. 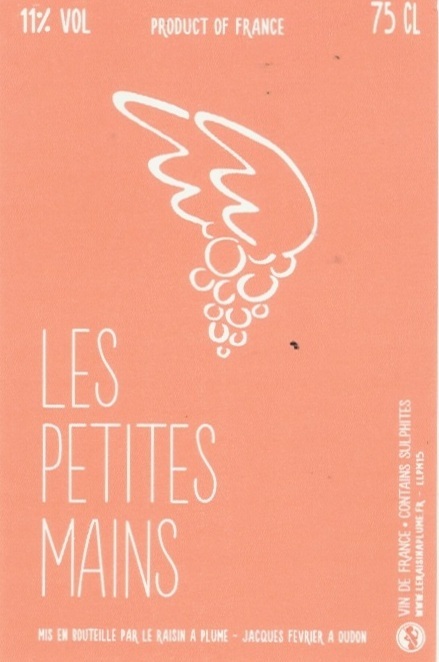 Another wine made from the Gamay grape from vines that range between 25 to 45 years of age. This is a light, bright and absolutely delicious rosé wine that has great depth of flavour for such a light wine. It also displays great tension! The grapes were all hand-picked and then directly pressed with the juice being transferred to fibreglass tanks. The wine was bottled without any sulphites being added and without any filtration or fining.